I found this mid-century bar cart recently and just completely feel in love with it. I’ll be honest, the love vibes didn’t hit me at first, but then I gave it another look and realized for the price I could make it work. 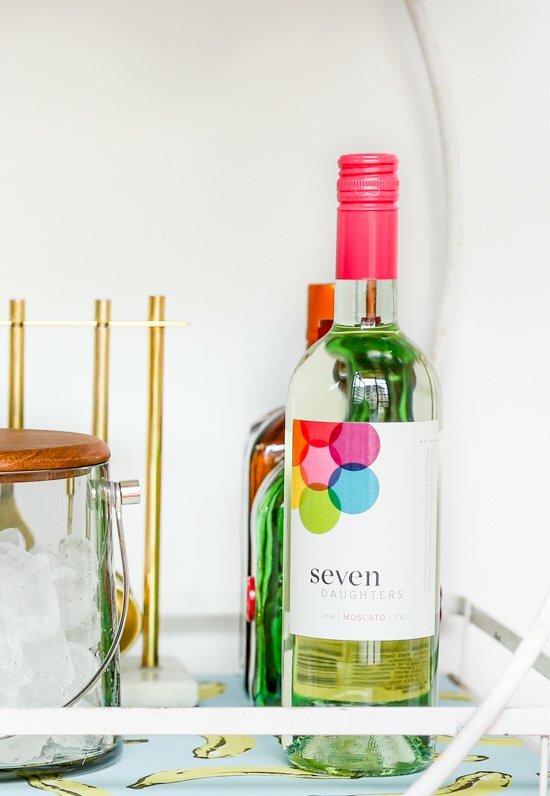 So, I partnered with my friends at Seven Daughters to share a little bar cart makeover AND some bar cart styling ideas / tips for the holiday season. So, let’s start at the beginning! The cart had some issues and clocked in somewhere below average, but you can kind of see the potential. Right? What I loved about it… The fact that it’s vintage, the circle shapes on each side, and the way the wood handle looked with the white metal. What I didn’t love about it… The glass shelves and metal grates underneath made it look like something that belonged outside, not indoors. 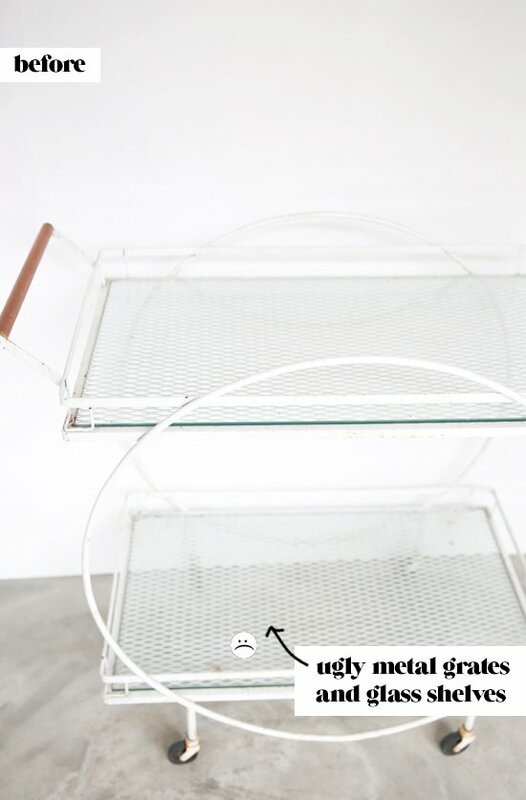 The solution… The main issue I had with the bar cart was fixed with one simple solution. Adhesive wallpaper. Yep, I’m using it again because I freakin’ love this stuff! And it works like magic. After we cleaned the glass and removed it from the metal grate shelves, we covered the glass in this banana print adhesive wallpaper, trimmed the edges, and popped both glass shelves back into place. So easy! It really transformed the cart, in my eyes anyway. And calls more attention to the things I loved most about this bar on wheels in the first place. Once the makeover portion was completed (it seriously took all of 15 minutes), I started working on getting this guy gussied up for the holidays. To be honest, I’ve never really had a bar cart until now. 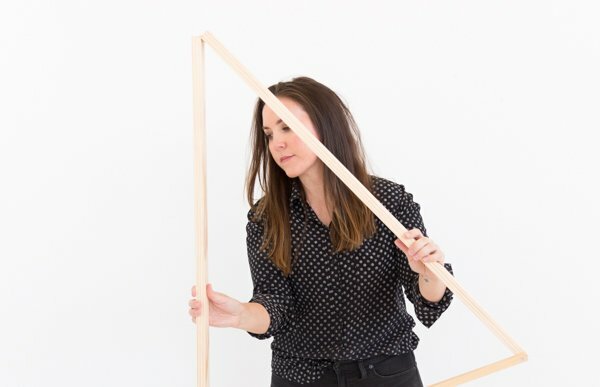 So, it took a little trial and error to figure out exactly how to style it up. 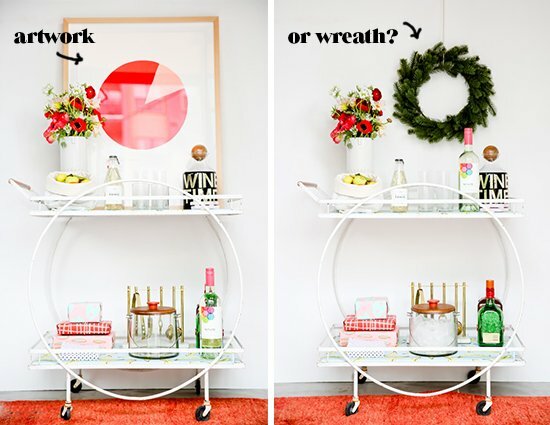 Overall, I came up with two options: one with artwork and one with a holiday wreath. I’m not sure which of the two I like better. So maybe you can decide for me? Let me know which one you like! Aside from the wall art differences, there were some bar cart staples that I just couldn’t be without: alcohol (mainly wine, like Seven Daughters Moscato and Pinot Noir), glassware, an ice bucket, napkins, coasters, etc. 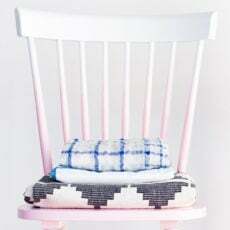 And of course, a couple of DIY projects too. Which in this case entailed a DIY holiday bouquet (similar to the one I made here) and a WINE TIME decanter. 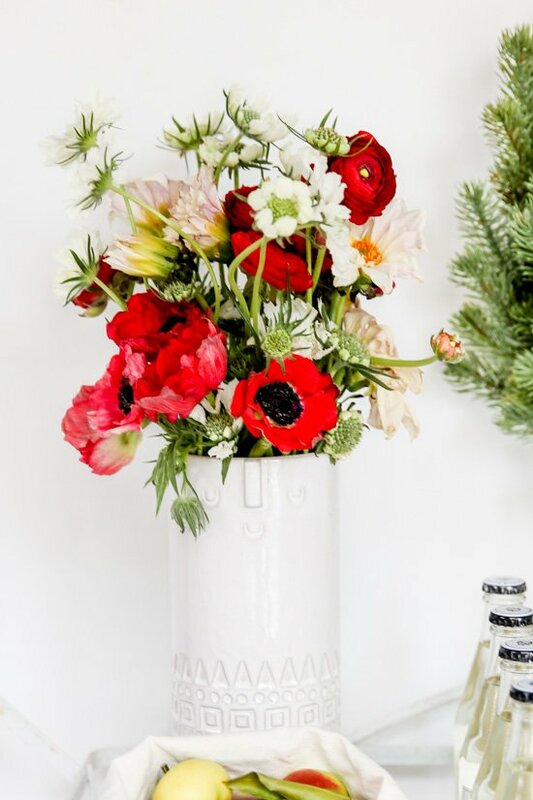 The process for making the bouquet was the same as it was for this holiday centerpiece tutorial. So, you can check out the step by step process there. As for the decanter, this project couldn’t have been any easier. All it took was some gold foil letters from the craft store and a few minutes to line everything up properly. This process could easily be used as a name marker on glassware at holiday parties too. Just remove the sticker after the party is over and wash as you normally would. And that’s pretty much it. 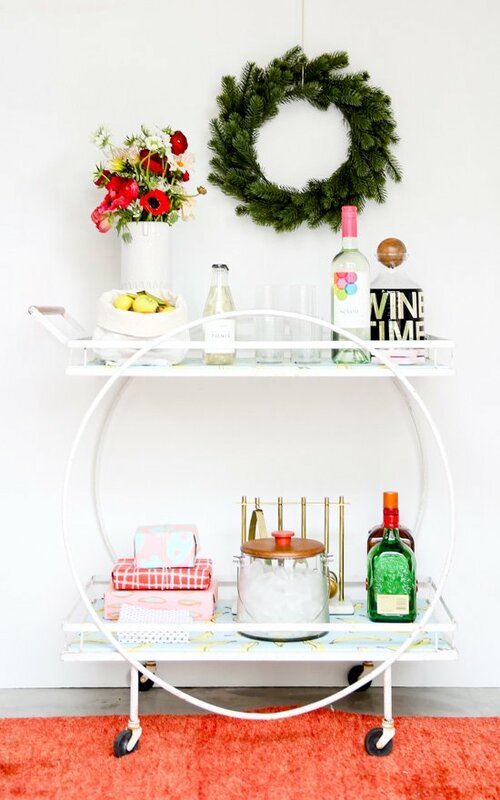 How do you style your bar cart at home for the holidays? 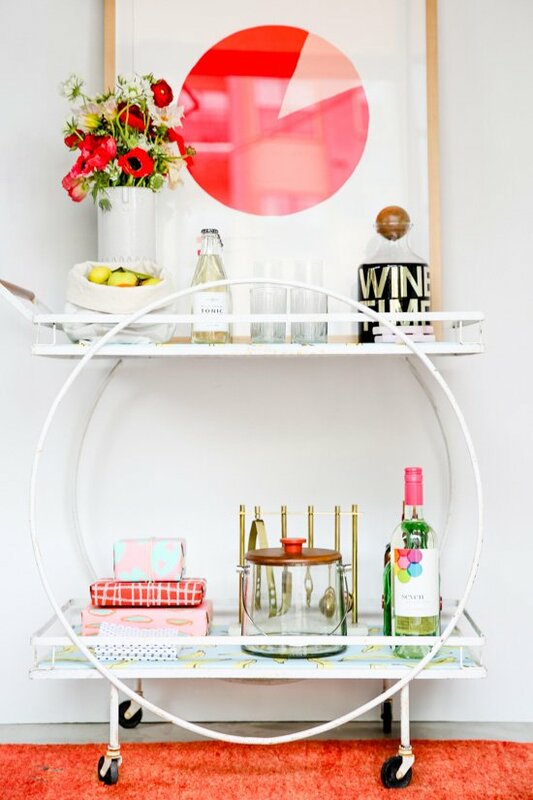 What do you think of the bar cart makeover? 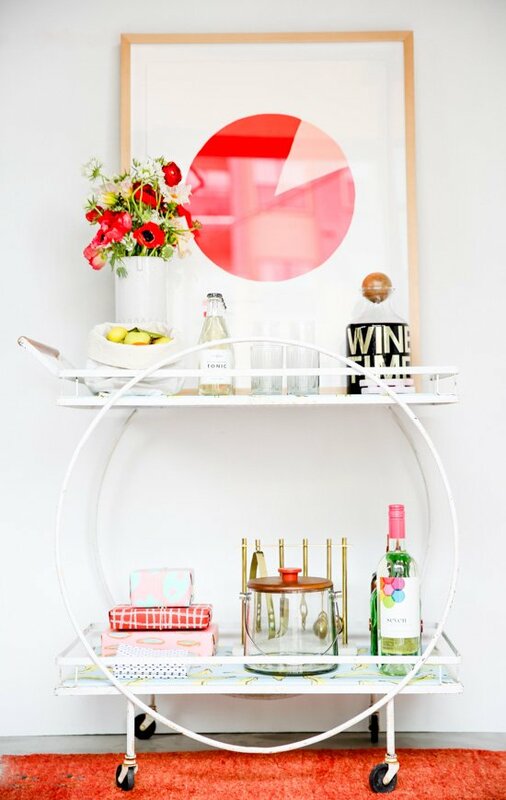 What essentials do you keep on your bar cart at home? This post is in partnership with Seven Daughters. Thank you for supporting the brands that help keep Paper & Stitch running. This is an amazing addition to a living room, I would love to have such a cart! I usually store my alcohol in a glass cabinet, but the bottles would look even better on such a cart! Wow this looks amazing! I always wondered how people made second hand stuff look good but THIS is how they do that. 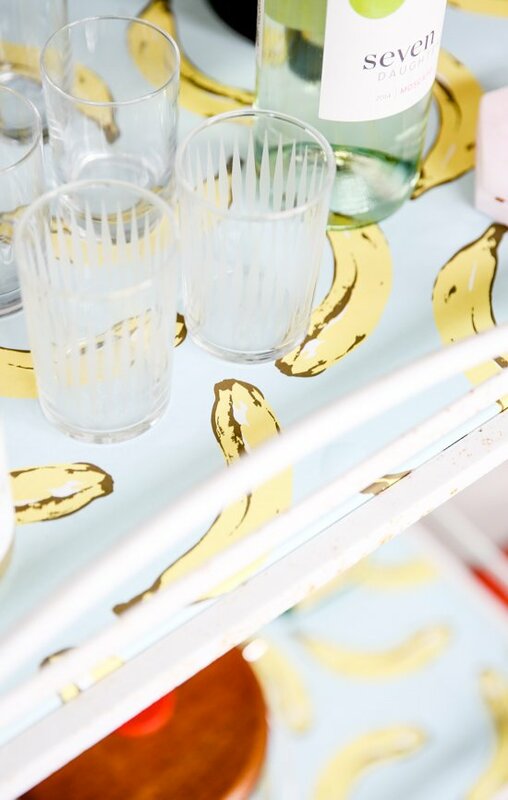 Never thought about using wallpaper on something like a bar cart. Cool stuff! Thanks Marloes. Glad you like it. Well THIS is the most amazing bar cart I have ever seen! 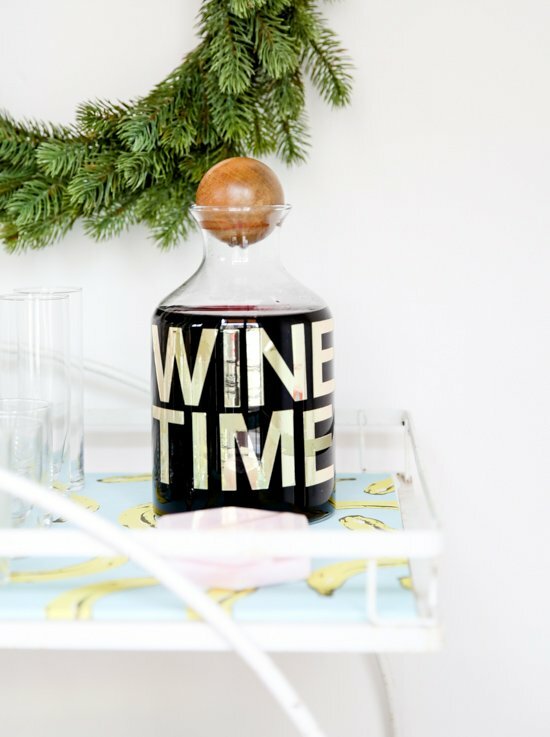 Also, I can think of about 10 people I should make that “Wine Time” decanter for for Christmas. Love this post, B! 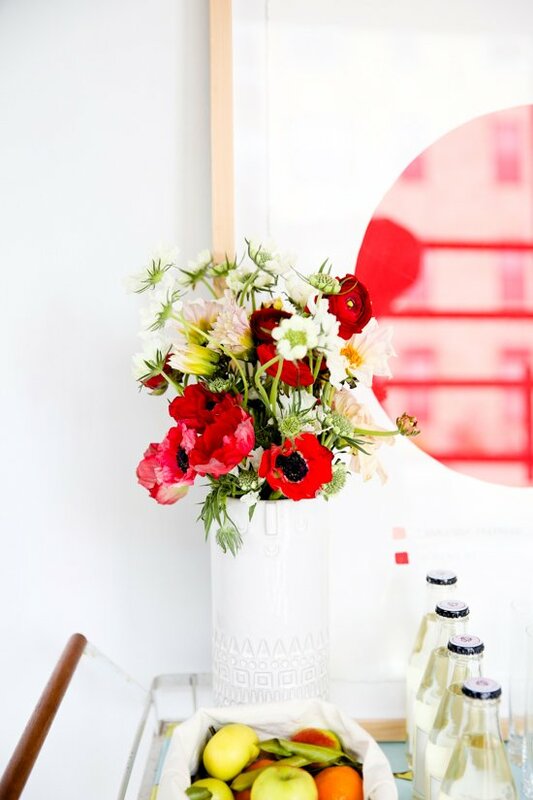 You did an awesome job styling this cart! I love it! Good suggestion, Joann. Works for me!